One of the most effective ways to help people feel better is by giving them a gift, especially when they are sick or not feeling well. Sending a get well soon gift will be a great help to make them feel better soon. Either it is your family, your loved one, your relative, or your friend, don’t forget to show them your love and care when they are facing such unwell condition. Everyone can feel down and depressed when they are sick or hospitalized, no matter how old are them. This is why a visit from you can eventually make them feel better as they will know there is someone like you who care about them and support them. Then why you don’t bring something with you to make them even happier and feel better? Choose an appropriate gift with their age, don’t give a teddy bear to an elderly, and don’t give herbal teas to a kid. Please keep in mind that you have to be aware of the physical condition of the patient before you choose your gift if you don’t want to cause any harm or worsening their condition with your gift.3. A loveable gift is indeed the favorite; something that already becomes their personal interest. So, if you know the patient well, don’t hesitate to buy a gift related to their personal interest. That’s it. If you consider the age, the physical condition, and the personal interest of the patient, you will never go wrong to make them feel happy and better with your gift and your presence. 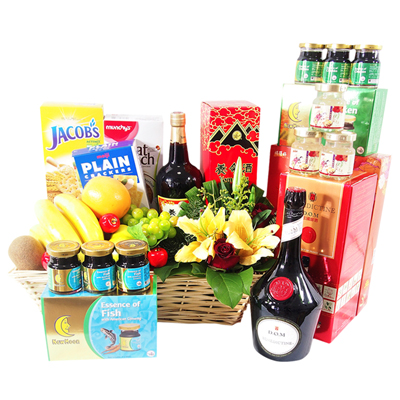 And just in case you cannot bring the get well soon gift personally, you can always ask the help of the florist Singapore to buy it online and deliver it using the flower delivery service.